History Help Blog: Who Owns 1916? Oh, 1916. It's one of the most interesting and important events in modern Irish history, but just like practically any event from the revolutionary era it's open to different interpretations and layered with controversy, sometimes completely unnecessarily. With the centenary coming up next year, preparations are already well underway for a variety of commemorations. The first such event took place last weekend as the death of Fenian Jeremiah O'Donovan Rossa was commemorated - not once, but twice. The Government's own official commemoration, attended by the President and the Taoiseach, was followed by an elaborately staged Sinn Féin commemoration, which featured a re-enactment of the funeral procession as well as people dressing up in period costume. 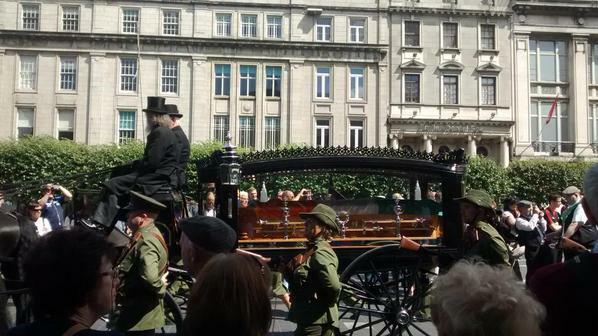 The Sinn Féin re-enactment of Jeremiah O'Donovan Rossa's funeral, 1 August 2015. Why were there two commemorations? For one thing, Sinn Féin wanted to hold their own event. For another, the Government event, as with the earlier launch of their 1916 commemorations programme, was met with accusations of lip service and not doing enough to properly commemorate the important people, places and events from this tumultuous time in Irish history. Sinn Féin and Fianna Fáil each have their own programme of events separate to the Government, and that's not to mention the huge number of other groups and societies that will hold their own events. The heading of the 1916 Proclamation, addresed to the people of Ireland. What are we to take from this? Who's running the "real" events? Which ones are the most important? The answer is... no-one and none of them. Of course the Government (no matter what parties are in) will be organising the official commemoration outside the GPO on the day itself, but the wide variety of events and actions taking place remind us of one very important thing: the Easter Rising belongs to no party, no group and no individual. 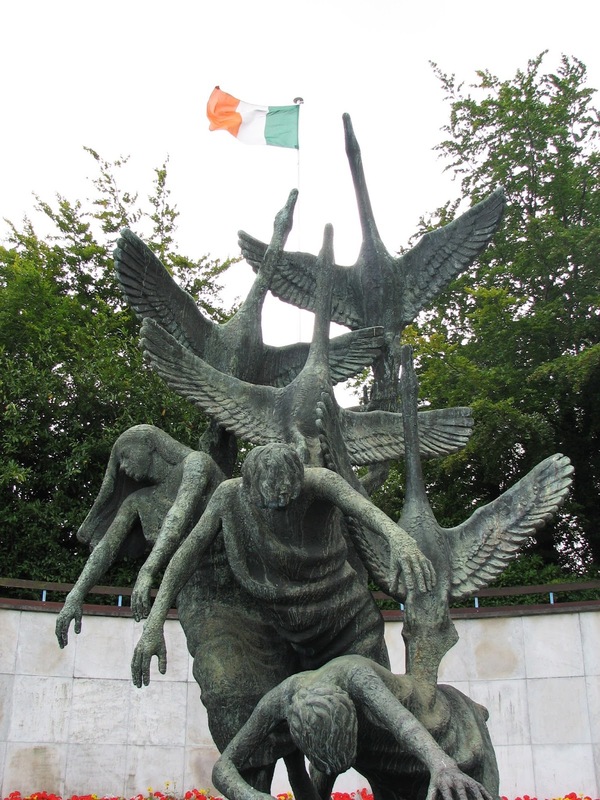 The Rising, like the rest of Irish history, belongs to the Irish people. The more people who organise and take part in different events the better. The British media in the days after the Rising mistakenly referred to it as the "Sinn Féin Rising", even though Sinn Féin at the time had no direct involvement in it. It would be unfortunate if, a century later, people were still confused over who "owns" the Rising. It isn't just Sinn Féin, or Fianna Fáil or the Government. It's all of us together. As long as we don't lose sight of that, we're in for an exciting, interesting and fitting commemoration to a week which changed the course of our history forever. The memorial to those who died for Irish freedom at the Garden of Remembrance, Dublin.